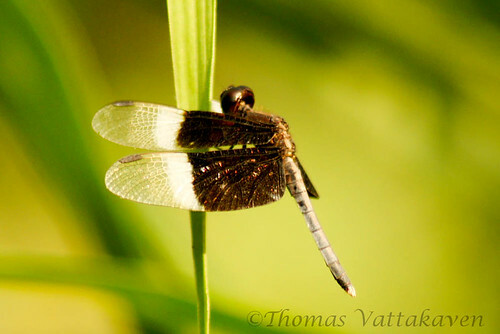 The Pied paddy skimmer is one of the most common species of dragonflies in Kerala. Featured here is the male of the species. 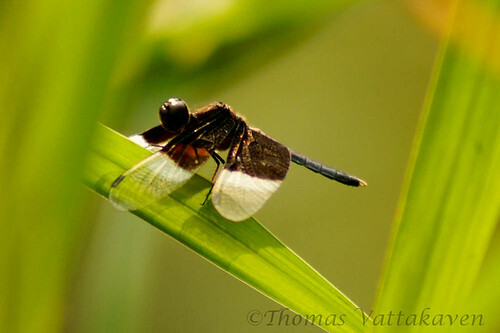 It has a black face with brownish violet eyes and the wings are black with transparent tips. 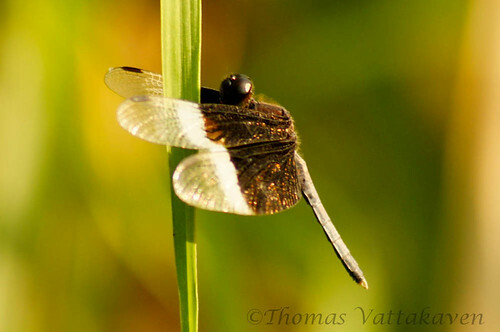 In between the black and transparent wing regions is a separation of diffuse milky white. The wing spots are a dark to dull brown. The body is black with a mid dorsal creamy white line. The female looks significantly different and I hope to feature it as a separate post later. is featured below. 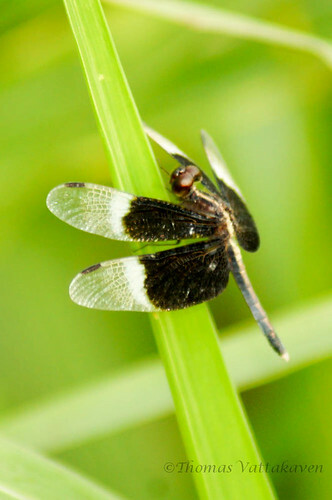 Pied paddy skimmers are commonly seen around paddy fields and near marshes. Its flight is characteristically weak, with frequent perches on aquatic plants and twigs. 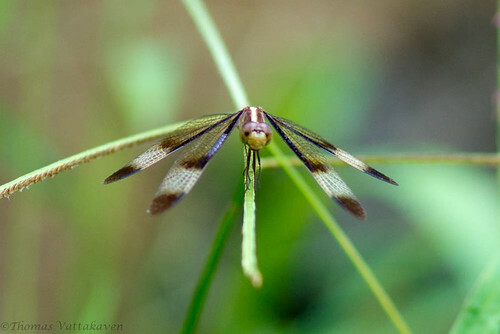 Wow, looks like you've mastered in Dragonfly Photography! The first picture looks brilliant- really crisp and clear. Great to see such images of these beautiful dragonflies. I used to have them around my home in Kerala till Dec 2008. After that, they vanished.